Many workers in decades past relied on company pension plans to provide them with steady income through retirement. However, today you may be on your own investing part of your paycheck in a 401K or other retirement plan that can experience significant losses as we saw during the financial collapse of 2008. Retirees who were surveyed identified their needs considering today’s realities, in a workforce.com article by Lisa Beyer “The Rise and Fall of Employer -Sponsored Pension Plans. Their top need was identified as having the potential for a guaranteed income steam for life. In addition, retirees indicated the need to have steady, stable and durable income that is consistently received even in down markets. They also cited the need for a growing or as least stable income base and potentially higher monthly income as they age. Moreover, retirees stated that the flexibility to start and stop income if possible while having a legacy for spouse and survivors would be desirable. Lastly, they expressed the need to avoid the risk of outliving their assets. While saving enough for retirement requires diligence and discipline, in many ways it can be the easy part. Managing your investments so that you don't run out of money arguably is trickier and requires more skill than saving it in the first place. People don't initially think about the risk of outliving their money, but they should put as much effort into trying to make wealth last as they did to building that wealth in the first place. Possibly the biggest challenge of your retirement planning is to take the money you've amassed over your life to this point and turn it into a reliable, durable income stream to support a post-work life that could last as long or maybe even longer than your work life. While amassing a retirement nest egg can make you feel like you completed a long journey, the real trip starts when you begin tapping that nest egg. The reality is that not every investor is going to be able to retire with a portfolio that can provide sufficient income to meet their current and future needs. In addition to Social Security and any pension or other funds, the investor will need to draw the interest, dividends, and capital gains income from their portfolio, and likely principal from their investment portfolio, to meet expenses. This means using a total return approach to the portfolio using cash flow from capital appreciation, dividends, income and other sources. Considering risks like inflation, and less-than-expected investment returns is bad enough. However, when you add a lesser known but potentially more harmful one like Sequence of Return Risk, your retirement funds can deplete faster and more dramatically than ever anticipated. Therefore, this website is devoted to the remedies posed by the above mentioned as well as other insidious retirement risks. Please continue reading the INVESTMENTS and ASSET ALLOCATION sections for more on this important dilemma in retirement for today’s retirees. This information is not intended to be a substitute for specific individualized tax or legal advice. We suggest that you discuss your specific situation with a qualified tax or legal advisor. 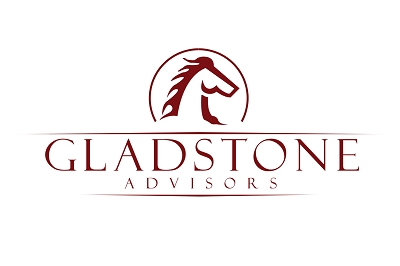 Gladstone Wealth Group, nor LPL Financial provide tax or legal advice. We do not offer all of these services directly, but can assist with providing a referral.